What are the duplicate recipients? 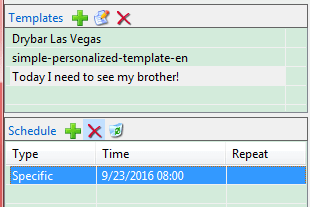 Why need to delete the duplicate recipients in AMSSE? Duplicate recipients will waste the sending time. Duplicate recipients will waste the offer of your email provider. For instance: your email provider allows you to send 500 addresses per day, if there are 5 duplicate recipients in your email, you will waste 4 recipients of your offer. Duplicate recipients may disturb, even irritate your contacts. Duplicate recipients confuse your contacts, they may do not know which one is the final copy. AMSSE has the Sending eMails One by One feature, in this mode, even the duplicate recipients are filled in the same email, in the same field (e.g. 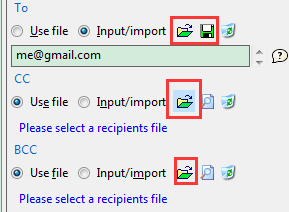 [To]), your contact will receive the duplicate copies of your eMail. For above reasons, our schedule an email software must delete the duplicate recipients in an email. Even do NOT need any reason, the duplicates – must be – killed! When and how AMSSE deletes the duplicate recipients? Screenshot 1: reading/saving recipients function of our automated email reminders. Screenshot 2: the <Send> button of our automated email reminders. The automatic sending operation is relied on you how to schedule an email. Screenshot 3: the Schedule listof our automated email reminders, to know how to send automatic emails in AMSSE, you need to operate the schedule list first. It’s not a question, because AMSSE will do the duplicate recipients deleting AUTOMATICALLY :) Just like other automatic mechanisms in AMSSE. “Auto” is the greatest feature of AMSSE, as its name said “Auto Mail Sender™ Standard Edition”. Download AMSSE to Know How to Send Automatic eMails!